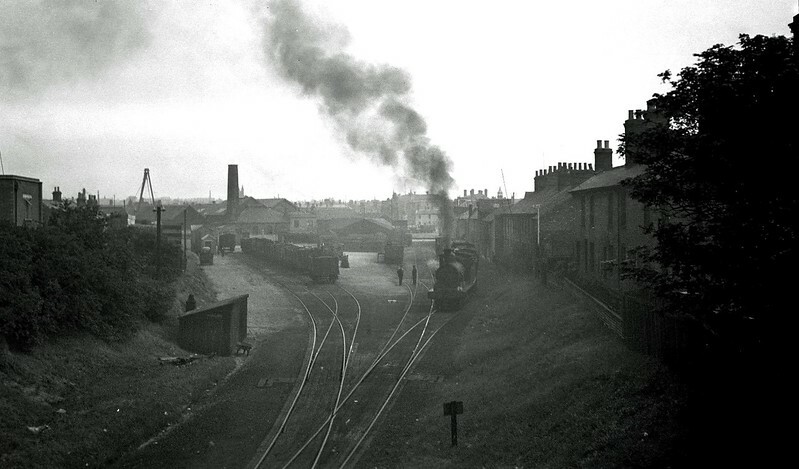 The South Docks area in 1936. The view is looking towards the Bascule Bridge from Mill Road bridge. A superb reminder of how things used to be in this part of Lowestoft. At work is a Class J27 0-6-0 No 432. The yard was closed in 1967 and this location is now a car park. Image:- thanks to Russell Walker.